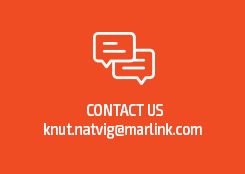 Oslo, 14 Oct 2015 – Marlink has completed the roll-out of VSAT (Very Small Aperture Terminal) connectivity across the entire Kuwait Oil Tanker Company (KOTC) fleet of 26 tankers, during a three month project started in March 2015. The final vessel, Mutriba, was completed and fully online by mid-June 2015. Marlink was awarded the contract to deliver VSAT to KOTC’s fleet in January 2015. Founded in April 1957, KOTC today is mainly involved in the ownership and management of tankers engaged in the transport of crude oil, refined petroleum products and liquefied petroleum gases (LPG). In addition, it also operates a Marine Agency Branch, acting as sole agent of all tankers calling at Kuwait’s sea port and a Gas Branch for the filling and distribution of LPG cylinders for local industry and domestic consumption. With easier and more cost-effective access to data and voice communication through Marlink’s Sealink VSAT services, KOTC now is able to enhance its global logistics operations, i.e. by improving arrival and departure estimates and securing the safety of vessels, cargo and crew. A key driver for KOTC moving to VSAT was improving its on board operational communications facilities, but the established Middle East tanker firm will also make more bandwidth available for crew. The increased bandwidth enables KOTC to operate more efficiently and make greater use of video streaming for on board TV, in addition to working smarter through collaboration, e.g. using high quality video conferencing facilities. Marlink’s VSAT solution for KOTC vessels features three Virtual Local Area Networks (VLAN), unlimited L-band backup and automatic switching between carriers. Bandwidth provided is in the range of Committed Information Rate (CIR) 128/128kbs to 512/512kbps, with temporary upgrades up to CIR 1Mbps also available on request, for bandwidth-heavy applications such as video conferencing. Most of the vessels started with CIR 256/128kbps.